As many of you know, I’ve been knitting socks this year, lots and lots of socks, in fact my goal is 16 pairs in 2016 (thank you Alida!). Lots of you have asked if I now intend to knit 17 pairs in 2017. The answer to that is NO, but Anne and I have come up with another little idea for next year. Well, ok it’s quite a big idea, and very exciting! We’ve decided that our challenge is 17 UFO’s in 2017. No! Wait! Please come back!!! Before you run screaming into the hills, let me explain. As I am very prone to dragonfly mentality (flit, hover, flit, hover….) and do lots of hand work, it would be ridiculous to think that I could finish 17 UFO’s in a year. So, the idea is to SUBSTANTIALLY PROGRESS 17 projects over the year and if that means a finish along the way, well that’s a bonus! Now, you can work your 17 projects into the year any which way you like. However, I’ve been reviewing my 17 times table (i.e. the calculator) and while 17 doesn’t go easily into 12 (months) or 52 (weeks) nicely, it does work sort-of for days and by my estimation (quickly pressing number buttons) 17 goes into 365 to equal 21.47058823529412……..ok approximately 21 times. That means three weeks devotion to one project – if that’s how you’d like to play it. OR, just work as and how you feel. OR, set yourself a goal to get so far on a particular project. OR, take each project turn about. It’s entirely up to you. :: You have between now and the beginning of January 2017 to decide on which 17 projects you’d like to nominate for your year’s work, and we will have (hopefully, if I get it right!) a linky party to kick off the year during the first week of January in which you will list your nominated 17.
:: At the end of each month there will be a linky party so we can see what progress has been made. :: If you don’t have a blog but would like to join in, you can send your progress pics to Anne or myself and we will post them for you. 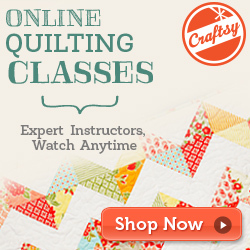 :: Projects can be anything you’ve already started (UFO = unfinished object), quilts, knitting, crochet, it’s up to you. :: It doesn’t mean you can’t start something new or work on a project outside your nominated 17, they just won’t be included in this challenge. :: This is not a sponsored event, so there are no prizes, just the satisfaction of your achievements! So what do you think? Anne and I do hope you’ll join us on this journey, and who knows what we will achieve in 2017! Great idea! Count me in for 2017! I love your “flit and hover” description!! And I love that I don’t actually have to finish 17 projects, just move them along. Brilliant!! Not sure I have 17 UFOs, I’m too scared to look! But I love the idea. Love your idea. I’ll make my list and see what I can accomplish! You really are a little treasure! Do you ever sleep as I assume this one was conjured up when you should have been sleeping! I’m up for the challenge as I already have about 12 things underway that I would love to finish. Good on you for motivating us once again. I’ll need more project cases ! Count me in Meredithe. Love your challenges – they really work for me. Love this idea. Can I choose 17 items in my ravelry queue? Excellent challenge! I was just thinking yesterday that I had started lots but had finished very little this year! I am beginning my list and i am sûre it is nécessary to select !!!! What a great idea! Perhaps I will join this Challenge. Because I don’t have a blog I have to send you photo’s of my Ufo’s as far as they are now. I get that right? Goodness, I don’t think I have 17 UFOs. I’ll have to do some rummaging to find out! Count me in. Love a challenge! Brilliant idea! I am sure I have 17 WIPs or maybe more! Me again! I have several completed quilts without a label on them, which is really really bad of me, as I preach to all and sundry that they MUST put a label on their quilts! I’d like to put them onto my UFO list too – cos technically a quilt’s not finished until the label’s on, in my opinion! I am in! I will get my 17 projects corralled and blog about it this weekend Great idea. I’m in. This gives me the added bonus of going to the storage unit and fishing the storage tubs out. I am really embarrassed to say I have about 50 UFOs. This is because I too do a lot of handwork and some experiments that don’t always work out. Thanks for the idea! This is an interesting idea. Unfortunately, no matter how hard I try, I don’t have 17 UFOs to work on. I have….wait, let me think/look at my Year of Projects list……I currently have 7 UFOs (and 2 are active projects and while none are in hibernation, I’ve not worked on them in awhile). But that’s knitting/spinning. I also have a few design ideas floating around (at least one hat, possibly a sweater, probably a few pairs of socks)……so perhaps if I throw those in, as well, I might have 11 or 12 hanging around in various states of UFOness. And I’d probably combine it with my Year of Projects, which means weekly updates on Sundays. I’m too scared to face my UFOs… but your plan sounds like a good one. This was going to be my own personal challenge for next year so would love to join others! Your challenge is a great idea and I have started to prepare my list. I too ‘hover, flit, hover, flit’ but over the past 12 months I have kept a notebook of what I work on each day and it has been very good at keeping me focussed through to completion. On 1 January 2017 I plan to go through all of my entries and make a list of the projects I managed to complete and a second list of the projects I worked on. It will make for interesting reading. Thank you. Ha Ha Ha – what ones are you going to do???? only 17!!! Does that mean you won’t be starting any new ones??? I love this idea – just what I need to focus on cleaning up my UFO stash! Count me in! 17! Not a problem! What a fabulous suggestion! Yes, the ‘flit, hover, flit, hover’ thing is very familiar and the ever lingering urge to start another always lurks, too! I may just have to join in since I have wanted to get some ‘oldies’ back out anyway for an airing! Thanks for sewing the seed! I’ll have to revisit my long list of UFO’s and see what I might like to ‘move forward’ in the next 12 months. Great idea and love that it is not a finish needed, just progress! Sounds like fun and doable! Thank you for sharing! That ok Sue, just let us know in the comments your list of 17 (on 2 January) and in the update posts during the year. So looking forward to having you join in! Great idea, I accept the challenge. I already decided that 2017 is going to be my year for finishing, so your challenge fits perfectly with my plans. Count me in! I, too, accept the challenge. My years is going to be all about getting things done and gifted. That doesn’t mean I won’t start something, LOL. 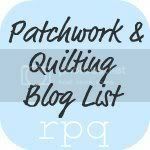 I like this challenge and have made a list of 17 quilts to move forward.